As we get closer to the Olympic games, the excitement of watching it is growing in our home. Since we can't afford to travel to watch the games live, we cheer for Team Canada from the comfort of our home. We usually organize a party for family and friends to come over and join in the fun and cheer with us. I also enjoy sending our good thoughts and cheers online to Team Canada through Twitter and Instagram. 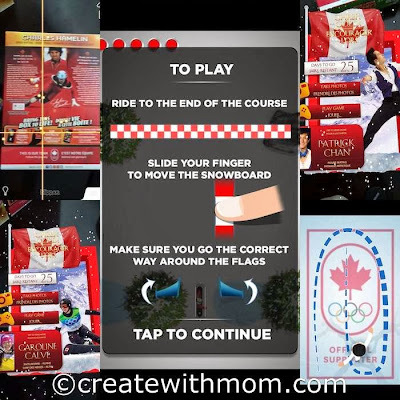 As an official supporter of the Canadian Olympic team General Mills will have this cool Augmented Reality feature in specially marked boxes of cereal boxes and snack boxes such as Cheerios* Cereals, Oatmeal Crisp* Cereals, Lucky Charms*, Cinnamon Toast Crunch*, Reese® Puffs, Nature Valley*, Gushers* and Fruit by the Foot*. By scanning the box, we can learn about the athletes, play interactive game, and take a picture with the athlete. 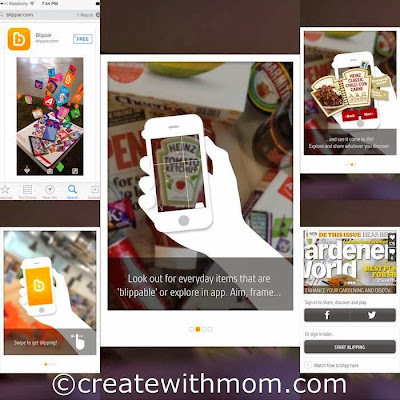 Downloading the Blippar App to our Apple and Android smart phones and tablets is quite easy, just search for the app in the App Store or Google Play then download it for free. Scan the specially marked box to see it "come to life" on the mobile device. These limited edition specially marked boxes will be on the shelves for a limited time, so get a hold of them soon and get started. This is really a neat idea! I will have to look for these boxes next time I am at the grocery store.